Resume Tips - To write and effective resume! Resume tips to ensure that your talent, accomplishments, and skills don’t get unnoticed on your resume. If your resume isn’t impressive enough, we wish you luck with getting it noticed in a pool of hundreds of other resumes. While opportunity, skills, interest, talent, attitude, and luck are all necessary to get ‘sold,’ you need to start with the first step – Resume. With a stack of resumes to review, all a recruiter want is to get done with all those resumes as soon as possible. So your belief they’d notice all your hour’s long efforts you’ve put in building a resume, you’ve erred. That 8.3×11.7″ paper is your advertisement, and you need to convince recruiter in that space that you are the best candidate to bring in the interview. As the real goal of a resume is nothing more than getting you an interview. So, how to write a blog post? What should be the optimal resume format? How to enumerate skills for resume? What should you write on your resume and what should you avoid? We’ve got the best resume tips from industry experts. So, here’s how to write a resume to make an impression. Gone are the days of “one-size fits all” in the current marketplace of increasingly specialized needs. Prepare several versions of your resume aligned with the different jobs you are planning to apply for. Unless you are applying for a Research Lab or highly specialized job, where you need to explain a lot, stick to the One-page rule. Also, the sizing of each section of your resume is crucial. It’s 80% of your resume is about your performance and 20% personality. It is more important to show, how you did it than what you did. Despite an attractive profile typos, spelling mistakes or confused words can be a turn-off! Check your resume for errors of fact, typos, formatting woes or omissions. Before you mail your resume further, get it proofread by someone who has better grammar. Even a single inaccuracy or misspelling could create doubt in recruiter’s mind. Don’t worry about an objective – employers will skip over this, or worse, will screen your resume out based on an objective that is not a perfect match for the job they are hiring for. Instead let your experience, skills and results-driven descriptions make a case for you. Put the most critical information first and spend more time and space talking about the skills, experiences, and results that are directly related to the job you are applying to. Quantify whenever possible. Data drive today’s work culture and stating that you increased sales or productivity isn’t sufficient anymore. Wherever possible, back it up with quantifiable data. Most basic resume tip yet so underlooked; avoid all the complicated fonts or design elements. To be considered an applicant, you will likely be uploading your resume to an applicant tracking system (ATS) on a company or third-party web site. These systems have a difficult time deciphering fancy fonts or design elements, and if your resume is not easy to read, it won’t be read at all. Proper formatting and readability are what’s going to get your resume those extra seconds of attention from the employer’s eyes. Don’t be that someone who puts up all the stuff they know or have done on the piece of paper and their job is done, make sure your resume makes it easier for recruiters to get the information they’re looking for, keep your resume short. Alignment of bullets is equally essential as using them. There should be an optimum balance of white and black space to make it appealing. Have multiple versions of your resume available for different sources you apply through, though the trending designer templates may look good on the computer, but won’t turn out that great when printed. There are numerous resume builders available online which you can use to. 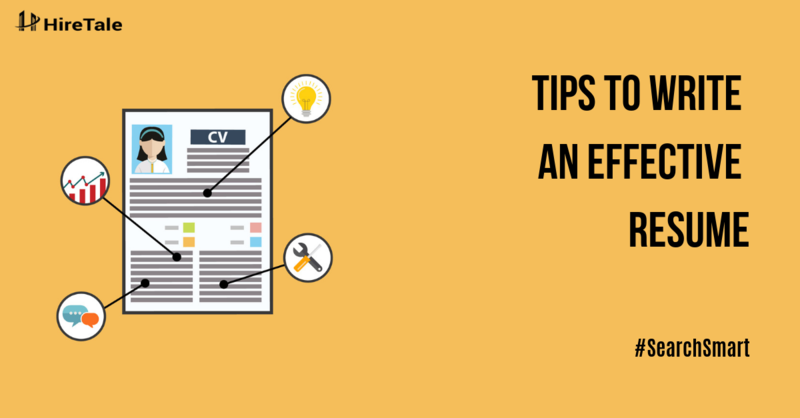 You can also look for resume templates which may help you highlight your key expertise. Also, while writing a resume, you may want to list down all your accomplishments on the paper, when you’re done you’ll be amazed by the amount of stuff you have to add. But be cautious with the information you add, you don’t add everything on your resume. Pick the ones that are relevant to the job you’re applying to and arrange them in a chronological format from most recent at the top to going down to older ones. A resume is meant to speak for you before you do. So make it leave an impression. Keep it simple and relevant to the job you’re applying to, and it sure will help you. Jobs and Career resume, resume tips. permalink.